Create your own beautiful soap designs and take them home with you! �Come to our spacious studio and enjoy a relaxing time learning the secrets of the trade. Our fun and entertaining soap making workshops are carried out in small groups and are designed for the general public.� No prior knowledge of soap-making is needed. We offer a variety of workshops where everyone participates actively, crafting unique, natural soaps from�quality, raw ingredients. You will use olive oil, glycerin, natural dyes, essential oils, and a range of other surprises�direct from mother nature. At the end of this fun experience you will�take home your special special creations to use and enjoy! Book a workshop as a gift for a group,�a birthday celebration, a bachelorette party or any other event. �The workshops are typically conducted in small groups of 6-14 participants to give personal attention for everyone. Larger groups may also be accommodated if requested. The workshops are delivered by Gili Zilca personally, owner of The Soap Cake Factory, who holds an MSc�in Applied Chemistry from the Hebrew University, an Intel Research Award winner, and a chemical engineer with more than 20 years of experience in product development and laboratory work. We went here to celebrate my daughters 6th birthday with a group of her friends. They all got to make their own soaps to bring home and they loved it. Totally recommend to anyone! A special way to spend a couple hours with friends or family. The grandkids simply had a ball with Gili. Explaining the history of soap making actually making soaps if any size and shape they chose made this a thoroughly enjoyable afternoon for grandma and grandkids aged 6 and 11. Thank you Gili for your patience and gentle fun way of handling the kids. We VERY much enjoyed this workshop. Our group had people ages 4-84 and everyone had fun and learned a lot! Gili starts with a fascinating explanation about soaps and how and why to wash your hands. Everyone can then choose the shape, color(s) and smell of the soaps they would like to make. Gili created a wonderful, calm, fun, exciting atmosphere and everyone had a wonderful time! If you are in the area--even if you have to go out of your way, this is a phenomenal experience I strongly recommend. Safe and enjoyable travels! Wonderful workshop. We produced soaps with quality ingredients and Gili went out of her way to ensure we were satisfied, offering us additional options we could make. We each produced 2 really nice looking soaps. What's more - anyone can do this, regardless of age. Thanks Gili. This place was great! I went with ages ranging from 3 yrs old to mid 60s and everyone had a great time. Highly recommended for a fun family crafting activity. Also was good for us as visitors because we all got souvenirs to take back to America. 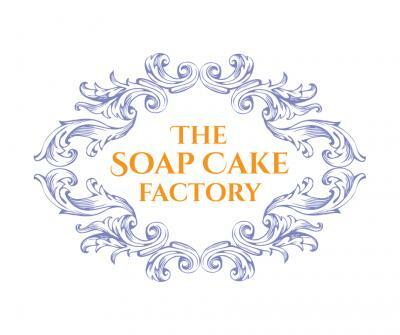 Had a fantastic afternoon at the soap cake factory in Kfar Saba. Highly recommended. Thanks, Gili, for a fun, entertaining activity! I�d go back and do it again!